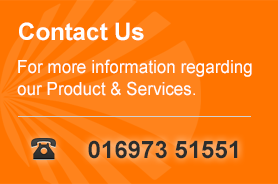 Cumbria Profiling Ltd are a Steel Plate Processing company based at Kirkbride in Cumbria. We supply to a wide range of industries including Architectural, Nuclear, Automotive, Construction, General Engineering and many more. The Company was established in 2000 and quickly outgrew its original location and moved into an extension of our sister company Tweddle Engineering. As both companies continued to grow in capabilities and staffing levels we relocated into a disused aircraft hangar with a fully covered 4700 sq/m of workshop space. Having the extra space has allowed us to increase the services we can offer after your profiles are cut. Surface grinding, Folding, Welding and Assembly are just some of the added value capabilities we can provide. If you have requirements for High Definition Plasma, Laser, or Flame Cut pieces, Cumbria Profiling Ltd would like to help, we believe our prices to be very competitive and our service exceptional. The Management team recognize that customer satisfaction can only be guaranteed a service that more than matches our customers' requirements and their expectations. To do this successfully our overall approach must be underpinned by correct and appropriate systems and procedures which ensure a 'right first time' response to our customers' needs. The Quality System has been designed to comply with BS EN ISO 9001:2008. The Management Team is totally committed to training and development and recognizes that employees represent the company's greatest asset. By providing opportunities, facilities and financial help we aim to ensure that all members of staff are in possession of knowledge, skills and experience necessary to perform their jobs to the required standard by agreeing each specific client requirement and ensuring that these are translated into the processes operated by the company. The procedures and responsibilities developed into our Quality System are focused upon this requirement. All personnel are required to comply with the Quality Policy, systems and procedures and are responsible for the quality of their own work and their contribution to the effective working and continuous improvement of the business. This Company Quality Policy Statement and Quality Objectives carry the authority of the company's management team and are reviewed at Quality System Review Meetings.